For a detailed background on the following, and the evidence, you should read this article first: Penn & Teller’s “Lone Gunman” Fail: Defending the “56 Grassy Knoll Witnesses Conspired to Lie to the Warren Commission” Conspiracy Theory and Operation Northwoods and the Plot to Blame the JFK Assassination on Castro. Vice-President Lyndon Baines Johnson. His Secret Service code name was “Volunteer” which was curious, because he was the volunteer without which the conspiracy could have never taken place. Any Vice-President loyal to the Commander in Chief would have arrested the conspirators almost immediately, since most of the plan had been leaked to the Klan and was in the hands of the CIA and FBI. Johnson had also placed Admiral Calvin Galloway in charge of destroying or concealing the medical evidence pointing to multiple shooters at the Bethesda Naval Hospital. This is why Kennedy’s brain was missing when Cmdr. James Joseph Humes opened the body bag. FBI Director J. Edgar Hoover. Provided the patsy, Lee Harvey Oswald, and was responsible for concealing and destroying evidence. Johnson, once president, would use the CIA to do the same. Oswald’s FBI employee number was 179, he was being paid $200 a month to “infiltrate a Cuban conspiracy to kill Kennedy and part of the play involved calculated pre-assassination appearances on television to establish his legend as a pro-Castro activist. Richard Nixon. Embittered as he had just lost a very close election to Kennedy, would use his own ties in the intelligence community and military which he had made as Vice-President under Eisenhower. It was under this administration that Operation Mongoose was planned, and Nixon had the expertise and detailed knowledge of the latter plan to assassinate Cuban dictator Fidel Castro which would instead be turned against Kennedy. 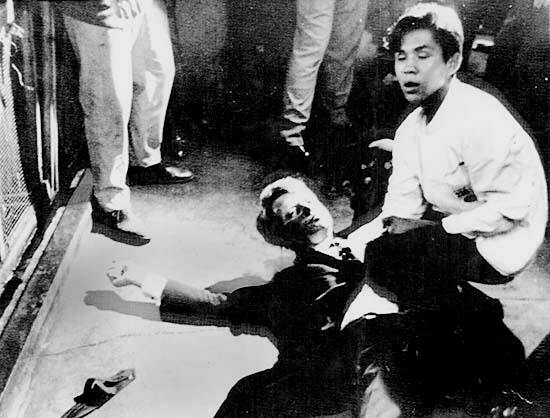 The hit called for an assassination in a motorcade, wherein Castro would be ambushed by carefully concealed snipers, but with a patsy planted to suggest he was shot solely from an office building. This operation called for authorities to believe there was only one assassin and no conspiracy, giving the US a plausible denial and thus avoid war with the USSR. 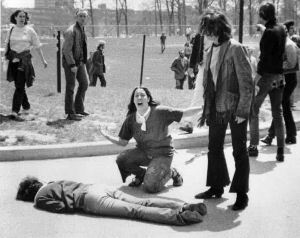 Mary Ann Vecchio over the body of student, Jeffrey Miller, who had been shot in the mouth. President Johnson announces he will not seek re-election. 5 days later, Martin Luther King, Jr. was assassinated. It would take presidential authority to conceal this kind of assassination, and that’s what they had. Two Presidents, Johnson and Nixon, were involved in the coup. And both ended their presidencies ignominiously. One was forced to abandon his re-election effort under the shadow of suspicion for the murder of JFK, the other was forced to resign not just for Watergate but for the crimes against Americans leading up to it, particularly the Kent State massacre of anti-war student protesters. Nixon was forced to flee to Camp David for two days for his own protection about a week later when over 100,000 protested in Washington DC and over 4,000,000 students protested nationwide. As for the assassinations of JFK, RFK and MLK, is it any wonder why the CIA and other intelligence agencies had made, and continues to make through assets in the corporate media, such a concerted effort to convince Americans there was no conspiracy in the assassinations? 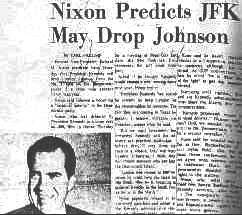 Is it any wonder why Johnson sealed the secret JFK assassination files until 2039? 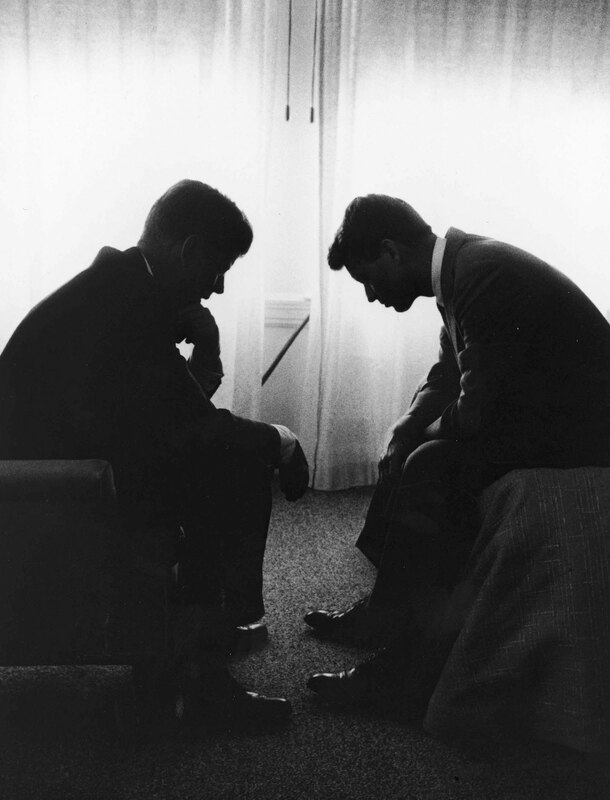 Hoover and Johnson discuss the threat of an independent committee called for to investigate the assassination of JFK. According to witness Madeline Brown, FBI Director J. Edgar Hoover, Howard Hunt, Clyde Tolson, Lyndon Baines Johnson, John McCloy and Richard Nixon were present at a meeting regarding the assassination of President Kennedy at the home of Clint Murchison the night prior to the killing. By 1967, it had been revealed that Lee Harvey Oswald had been in the employ of the FBI for months prior to the assassination, as an undercover agent tasked with infiltrating a Cuban plot to kill Kennedy. This made him the perfect patsy since he now had a pro-Castro “legend” against him complete with at least one television appearance. Oswald’s FBI number was 179, he was paid $200 a month from September 1962 up to the time of the assassination. This meant that Hoover, who also hated the Kennedys and was about to lose his job for his ties to Mafia figures like Carlos Marcello, Meyer Lanksy and Sam Giancana, took a direct role in the planning of the assassination as both the key cover-up agency and the person who provided the patsy. J. Edgar Hoover made sure Oswald got some airtime. It was the perfect way to create the legend that Lee Harvey Oswald was working for Fidel Castro. According to Madeline Brown, Jack Ruby, Oswald’s killer, had shown her the motorcade route for November 22, 1963. He had arranged to kill Oswald and thus make it impossible to have him present a defense that already pointed out the ridiculous flaws in the lone gunman theory, which began immediately thanks to scores of witnesses, along with the fact he had been working for the FBI. Because of this, it’s no wonder that no one took notes during the interrogation. As you can see in Oswald’s assassination clip, no one in the Dallas PD was surprised to see Ruby. Oswald’s interrogation was never recorded, and the excuse was that the room was too small for a stenographer. AUDIO: On November 25th, 1963, three days after the assassination Johnson was calling Joseph Alsop of the Washington Post vehemently arguing against calls for an independent investigative committee in the Kennedy assassination, one called for by President Kennedy’s brother, U.S. Attorney General Robert F. Kennedy. Only Johnson could directly control both intelligence agencies and Johnson had a motive. 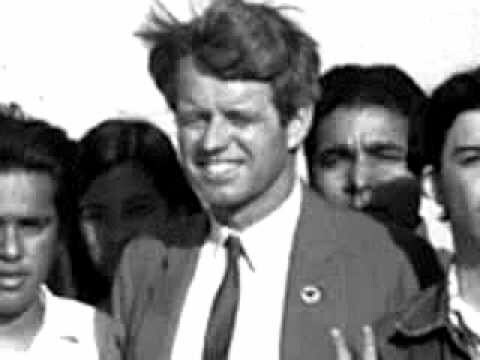 Robert F. Kennedy was the United States Attorney General at the time, and he wanted an independent committee to investigate the killing of his brother. Johnson did everything he could to prevent RFK from getting that independent committee and succeeded in his battle with the Justice Department, giving us the Warren Commission whose members he hand picked. Jim Garrison shattered the credibility of the Warren Commission. 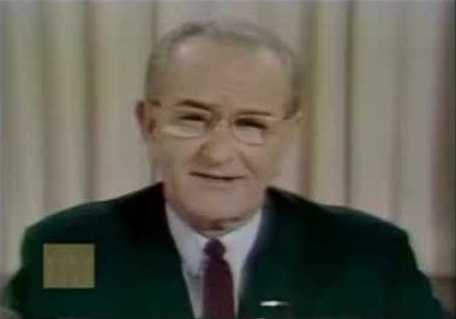 Garrison ultimately forced President Lyndon Johnson, who appointed the commission, from seeking re-election in 1968. Johnson’s attempt to scuttle Garrison’s case in the Clay Shaw trial backfired. 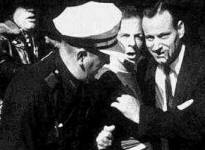 Shaw was acquitted in the charges he was involved in the conspiracy to kill President Kennedy, but the damage was done. By the time Garrison started to present his case, Hale Boggs, a member of the Warren Commission, suspected President Johnson was personally involved in the assassination as an accessory after the fact, as it was clear the FBI and CIA immediately began destroying evidence and withholding it from the Warren Commission itself from day one. AUDIO: 1967. 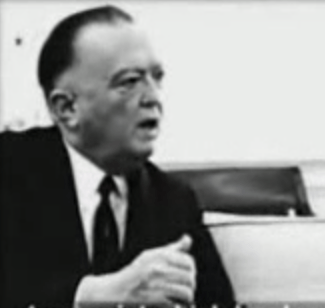 Ramsey Clarke and Johnson discuss the Jim Garrison case, i.e. 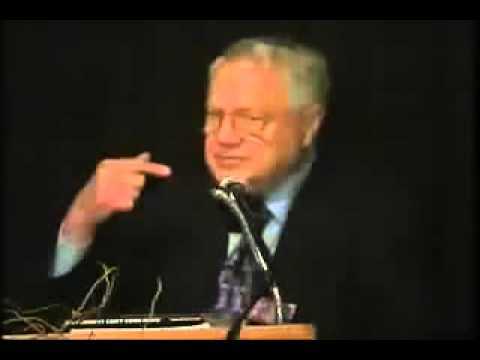 Warren Commission member Hale Boggs noting that “Johnson could be found in it some place” in regards to the Kennedy assassination. That the FBI would be investigating a member of the Warren Commission which was tasked with discovering the truth about the assassination was telling in and of itself. Hale Boggs, incidentally, died in a plane crash under suspicious circumstances. Suspecting Johnson seemed to bring a lot of bad luck to many, many people, including Democratic presidential candidate and Sen. Robert F. Kennedy. The moment this picture was taken, RFK had just been handed a slip of paper by an aide, hit the post, and asked LBJ directly “Why did you have my brother killed?”” Note the expression on Johnson’s face. In addition, Jackie Kennedy made no secret of her suspicion that Johnson was responsible. She noted he was in a heated argument with Kennedy over the seating arrangement in Dallas the night before the assassination, because suddenly his friend Gov. John Connolly would be seated in front of Kennedy and in harm’s way. 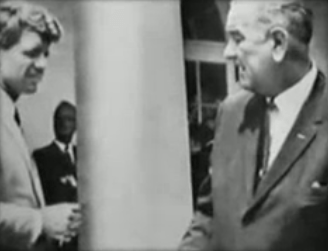 Johnson must have known his good friend was in danger; just like he knew Kennedy planned to drop him from the ticket and end his political career.1 His argument with Kennedy on the night of November 21 was so heated the First Lady could hear it from outside the presidential suite, room 850 of the Hotel Texas in Fort Worth. Johnson finally stormed out of the suite when he didn’t get his way. 2 Sure enough, Connolly was shot as well. Kennedy already knew there was a plot in Dallas thanks to intelligence gathered in Florida on November 9th, 1963, when Joseph Milteer, a rabid segregationist and Klansman, boasted of a right-wing plot to kill Kennedy in Dallas. Good times. In contrast to Mrs. Kennedy, Lyndon B. Johnson, Ladybird Johnson and insider Rep. Albert Thomas (D) unusually cheerful after witnessing a brutal murder. Aboard Air Force One and sworn in, Johnson winks at his good friend and fellow Texan. All of the conspirators herein were members of the Scottish Rite, what Hoover called the “SOG”, or Seat of Government. Well aware of the threat secret societies posed to Americans, particularly the Illuminati and the masonic groups it controlled, President Kennedy spoke out against them before his death. You can hear the speech, and read the transcript here. In this particular address, President Kennedy warns of a monolithic secret society otherwise known as the Illuminati, and reminded newspaper publishers and editors that theirs was a sacred trust. Ironically, censorship and concealment would forever mark the media and government treatment of his assassination. Kennedy once said he trusted in the media to fulfill its obligations to Americans. But as it turns out, it was a trust misplaced. The Illuminati and Rothschilds have always been synonymous. 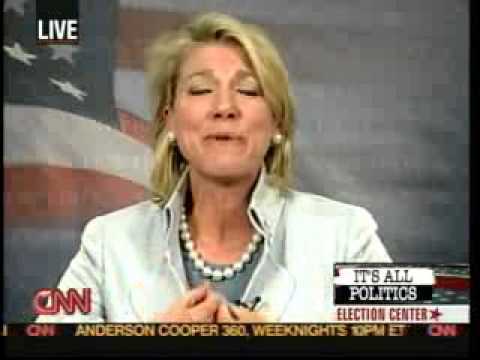 After stridently supporting Hillary Clinton when she ran against Obama, and failed, an embittered Lynn Forrester de Rothschild urges Americans to vote for McCain. 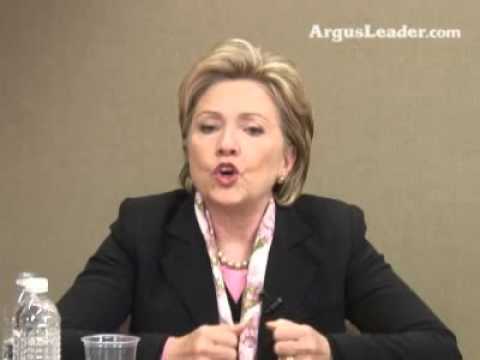 At a time when Sen. Ted Kennedy had just been diagnosed with brain cancer, and Hillary’s attempt to win his endorsement failed, she brings up the memory of the Robert F. Kennedy assassination in June of 1968. She is implying that she should stay in the race because Obama might be assassinated as well. Since the Illuminati and Rothschilds are synonymous since the days of Adam Weishaupt (1773-1830), it was not taken well by insiders. LBJ Reloaded: Want to Play Johnson? The short answer is no. The keys files have been in the public domain for decades, they’ve simply been suppressed or “debunked” by media assets. According to leaked documents from the DNC they had already decided Hillary would be their nominee as early as May of 2015, perhaps earlier. Obama amends post-Kennedy assassination “Executive Order for a Peaceful Presidential Transition”one year later, after Bernie Sander’s surprising rise in popularity and primary wins threaten Hillary’s nomination.